Very professional overall. I needed to exchange a product and they walked me through the process. I love your site and products. 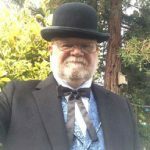 I purchase regularly and perform wearing Historical Emporium clothing and accessories.